Beetles are the most species-rich group of animals on our planet. Among four extant suborders of beetles, polyphaga is the largest and most diverse group. 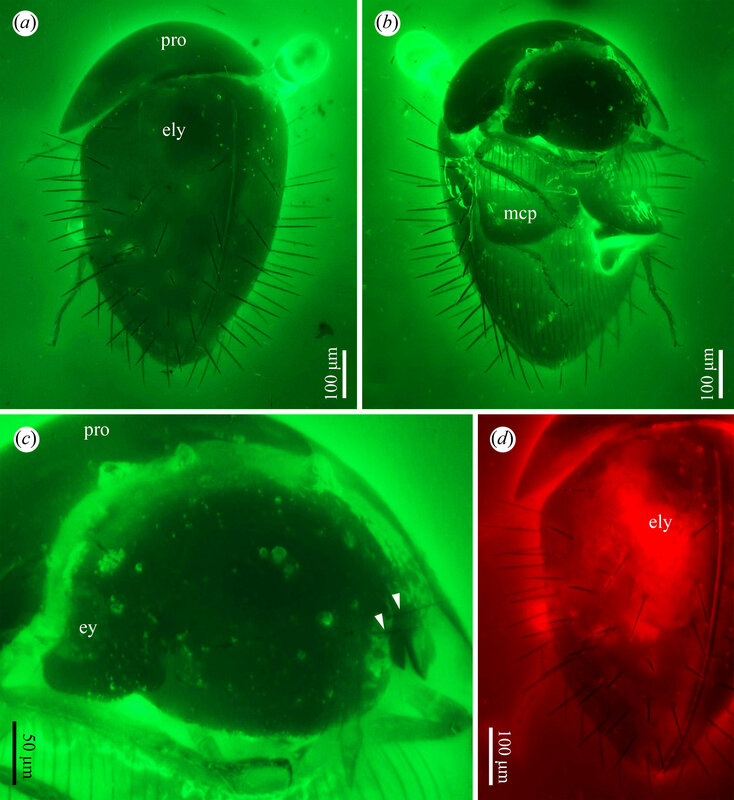 The origin and early evolutionary history of polyphagan beetles have been largely based on evidence from the derived and diverse core polyphaga, whereas little is known about the species-poor basal polyphagan lineages, which include Clambidae and four other extant families. Recently, an international team led by Dr. Cai Chenyang, from the Nanjing Institute of Geology and Palaeontology of the Chinese Academy of Sciences, reported two new and rare species of the extant family Clambidae from Burmese amber: Acalyptomerus thayerae and Sphaerothorax uenoi. They are important for understanding the early evolution and biogeography of the family and even for polyphagan beetles.